We first met Kat back in early 2008, she was an apprentice for our midwife Jill, whom assisted in our first two home births(yes I said home birth lol). Isaiah was was born at home in 2007, and Arielle our second child was born at home in 2008(whom Kat helped with). We went on to have her as our primary midwife, Kathya Midwifery for our third home birth(Genesis), and have built a special bond with her since. When she came to us about Lighten Films filming her wedding, I was very excited. I can give her something as special as the experience she gave us during our children’s births. The first time I officially met Adam(besides setting up the birthing tub lol) was during our consult, his wit is second to none. He was such a joy to be around and it was so special to see the bond they share together. 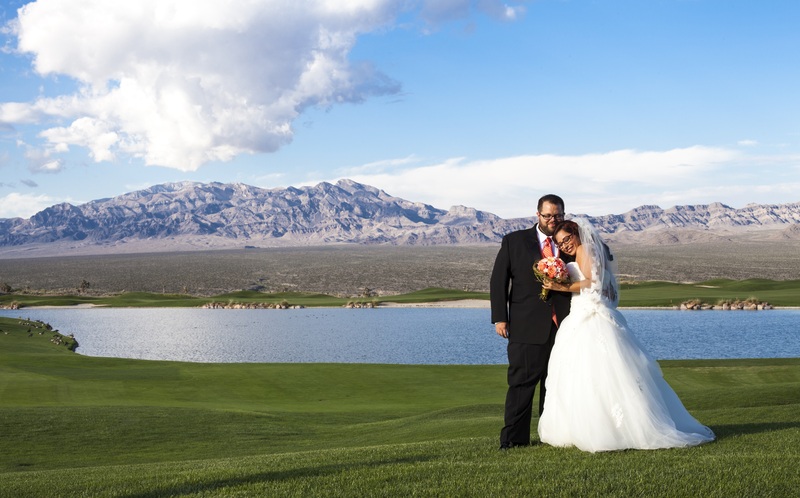 They had an amazing wedding at the gorgeous and scenic Las Vegas Paiute Golf Resort, one of my favorite places to shoot, by the way. As always Naakiti Floral brings the gorgeousness to the wedding and make a lot of what I film more pleasing to the eye. It was a privilege to film your wedding Kat and Adam, thank you!